Prominent & Leading Manufacturer from Chennai, we offer data acquisition system, fluid level monitoring and record manage system. Sensors monitor fill levels of liquids and solids in large and small containers, for a variety of applications. 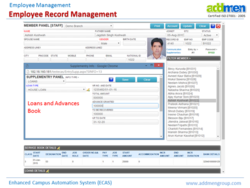 Land Records Management is a windows based vernacular product. Besides Hindi it also supports other Indian languages too. Security: Dynamic security lets user define any number of users and grant them appropriate rights. Looking for SCADA - Supervisory Control And Data Acqusition ?